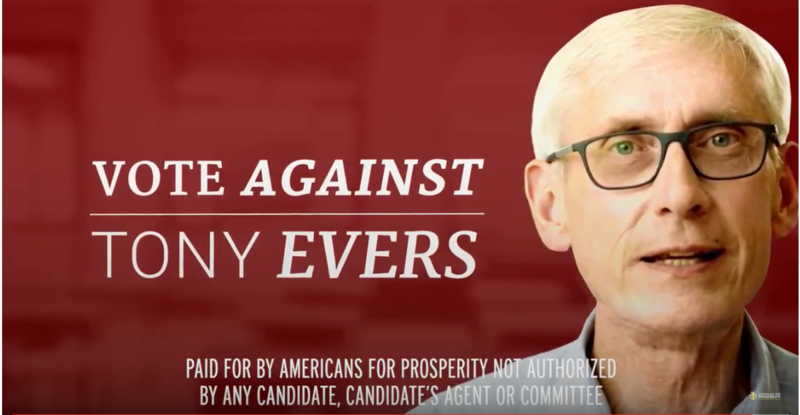 MADISON, WI – Days after declaring its support for Governor Scott Walker and its opposition to Tony Evers in the upcoming gubernatorial election, Americans for Prosperity-Wisconsin (AFP-WI) announced a new seven-figure investment in broadcast, cable, and digital advertisements. The ads quote Evers’ effusive praise of the Walker administration’s investment in Wisconsin public schools. Evers made his laudatory comments while serving as the state’s Superintendent of Public Instruction but has tried to walk them back since he became a candidate for office.